In honour of National Sewing Month (it’s September! ), I’m encouraging everyone out there to finally learn how to sew (if you don’t know how to sew already) or to finally improve your sewing skills and refine your sewing skills if you’ve been sewing for a while but want to now make your handmade projects look store-bought. The same sewing classes that my instructors and I taught in Toronto and New York are now available online as beginner sewing classes, so you can pause, rewind, and rewatch to your heart’s content! 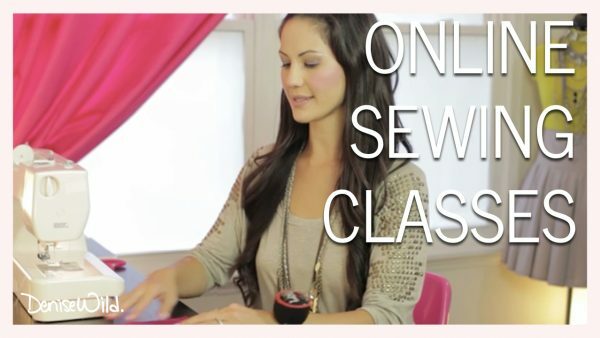 This sewing course is unbelievably detailed, and not only are the videos yours to keep and watch forever, but I’m live in the course for 8 weeks to answer any questions you have while navigating the program. Then click here for more details on this sewing course, or to register online. See you in class! I’d like to invite you to join me for my Introductory Sewing program. It’s now available as an online course. If you go to academy.burdastyle.com, you’ll be able to sign up for the class and take it at your own pace from the comfort of your home. This is the exact same program that I developed back in 2004 and we’ve taught thousands of students in Toronto and New York the same curriculum. Students in New York paid over four hundred dollars for this, and the same program is available to you for only $29.99. So it’s an incredible deal. So who’s this program for? Basically, anyone; if you’ve never sewn before, you’ve never touched a sewing machine before, this is perfect for you. I start you from scratch and you don’t even have to have any worries. Maybe you haven’t sewn in a long time and you’re looking for a refresher course. This is great. Or if you have been sewing for a long time, but you’re looking to do the right way; you want to sew everything properly. 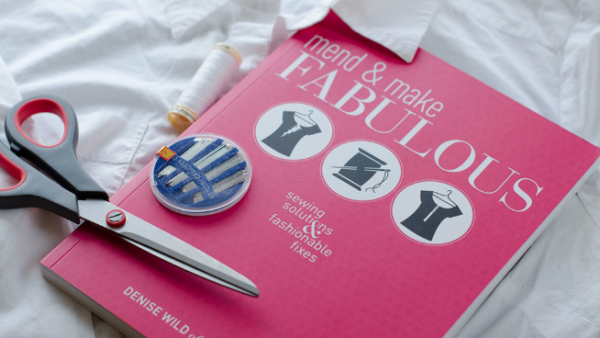 Maybe you’ve never learned exactly how to sew and you want to learn all the technical details. This program starts you from scratch and builds a solid sewing foundation. So it’s very technically focused, it’s very comprehensive; I’m going to walk you through the machine, the serger, threading it, doing different stitches, different seam finishes. We’re going to walk through zippers and, basically, walking through a bunch of projects as well. So you’re going to do two small projects, plus three skirts. I’m going to show you how to read, and work with, and adjust a commercial pattern. And you’ll be able to sew with a pattern with confidence, and you’ll feel really comfortable with your skills. And all your projects will look amazing. So, I hope that you join me. Again, go to academy.burdastyle.com to register for Introductory Sewing. I’m the instructor. I’ll walk you through everything and the videos are just gorgeous. You’ll love it; we had a really great filmmaker that we were working with and everything is super detailed. So I think that you’ll enjoy it and I can’t wait to have you join me. Bye.